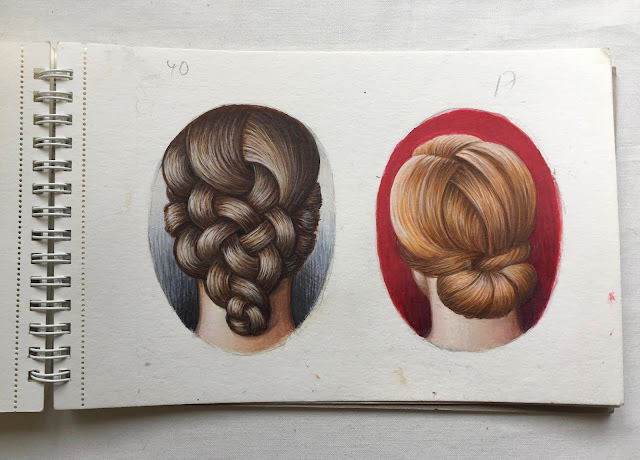 As mentioned in a recent post, it was my intention to publish the remaining watercolour miniatures created for the forthcoming show PATTERNS OF COLLECTING - From the Bower at the Johnston Collection singly, along with progress views of each. 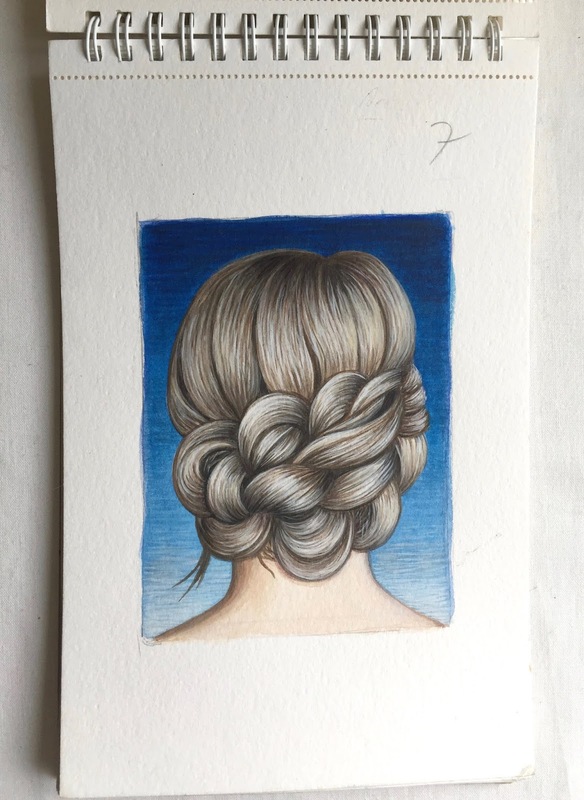 Times have been extremely busy of late, however, and with the deadlines for this and other projects fast approaching, I couldn’t put off the inevitable any longer. 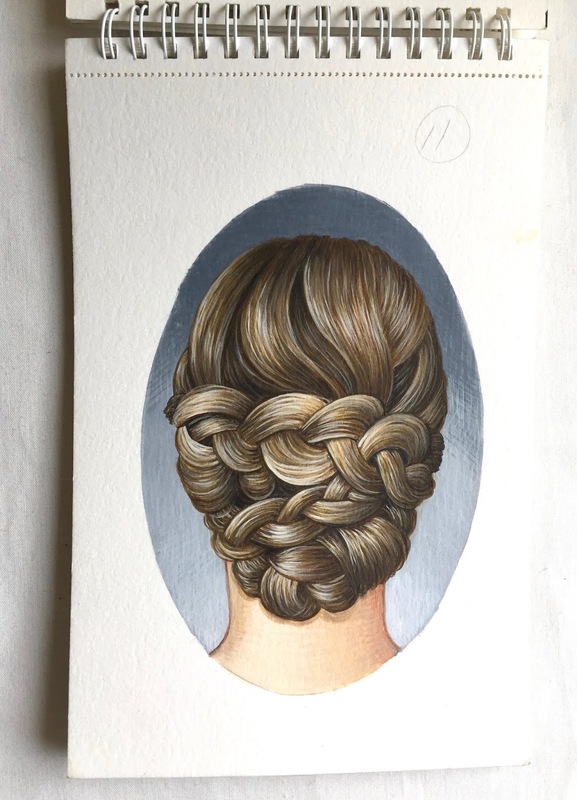 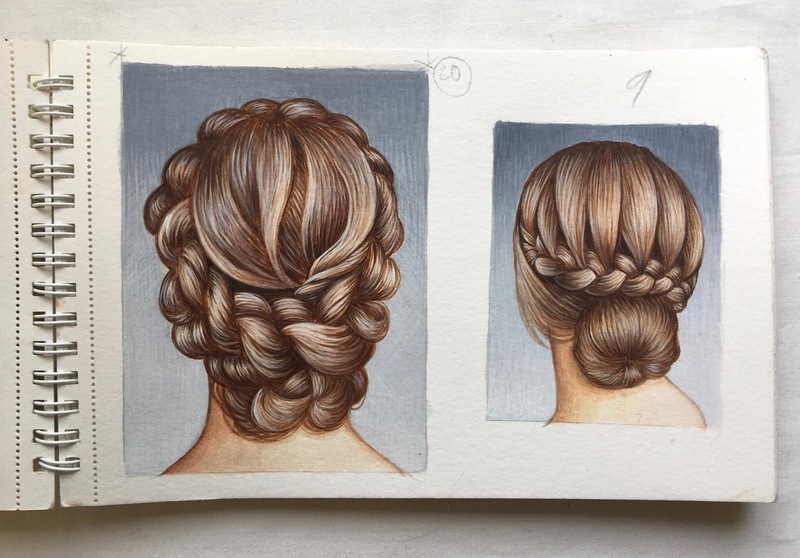 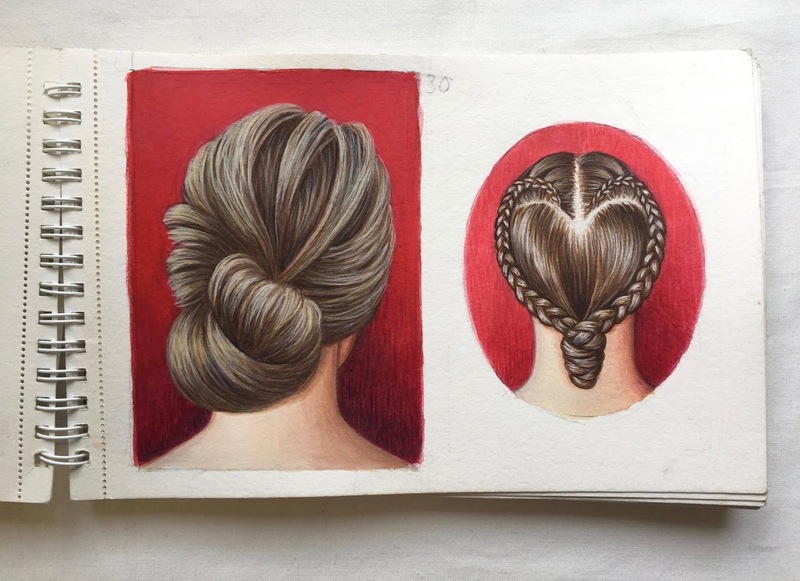 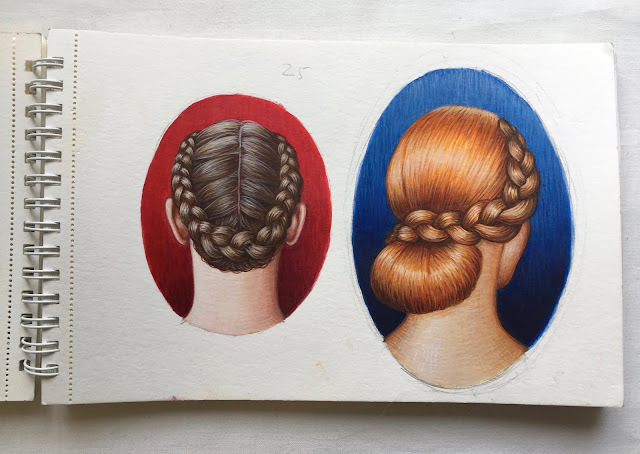 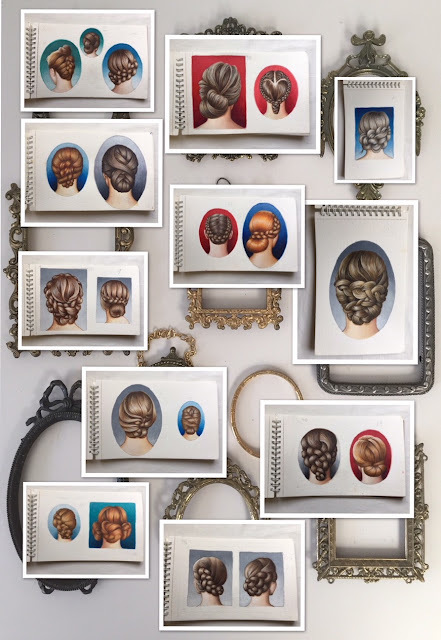 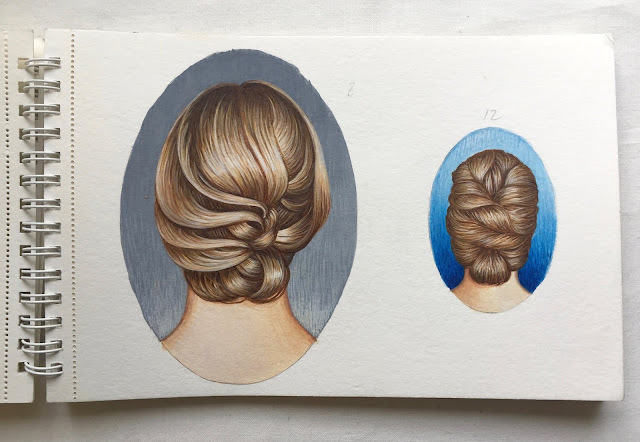 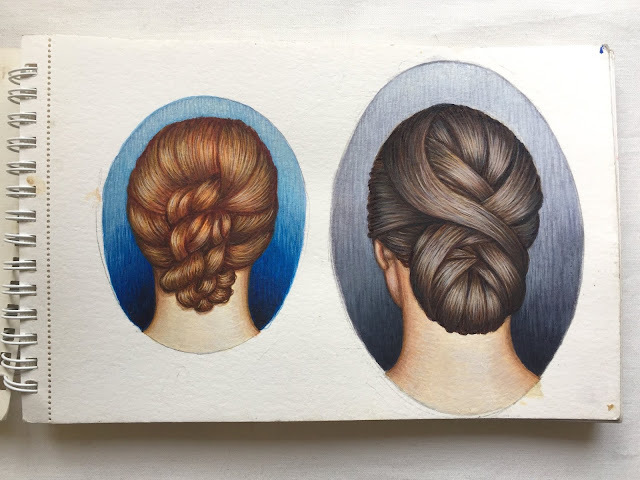 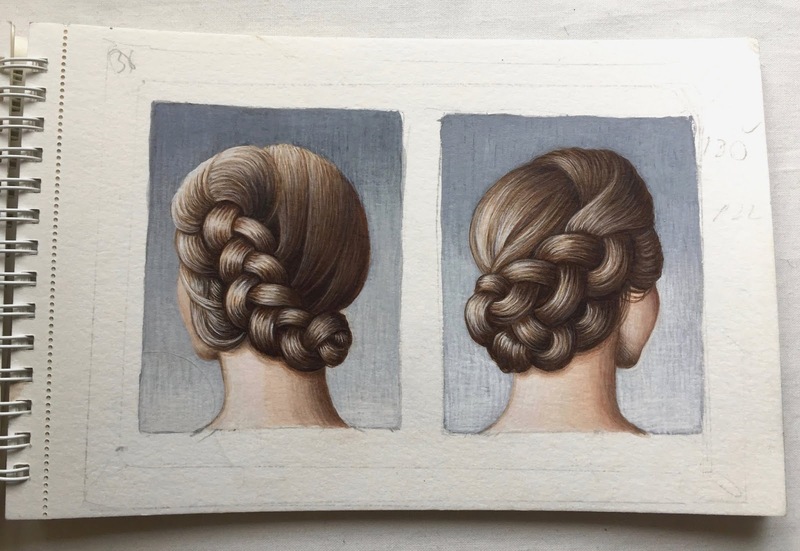 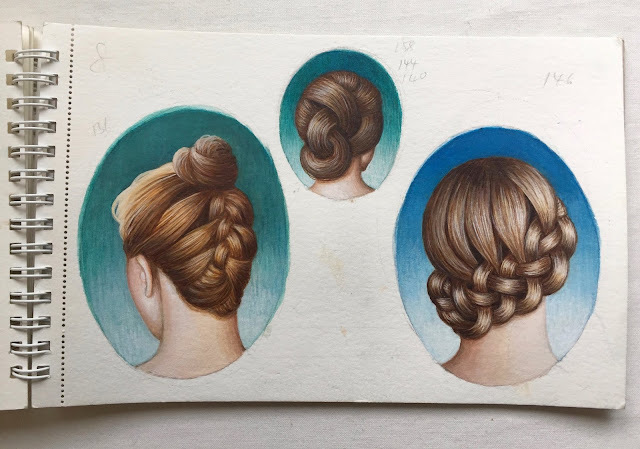 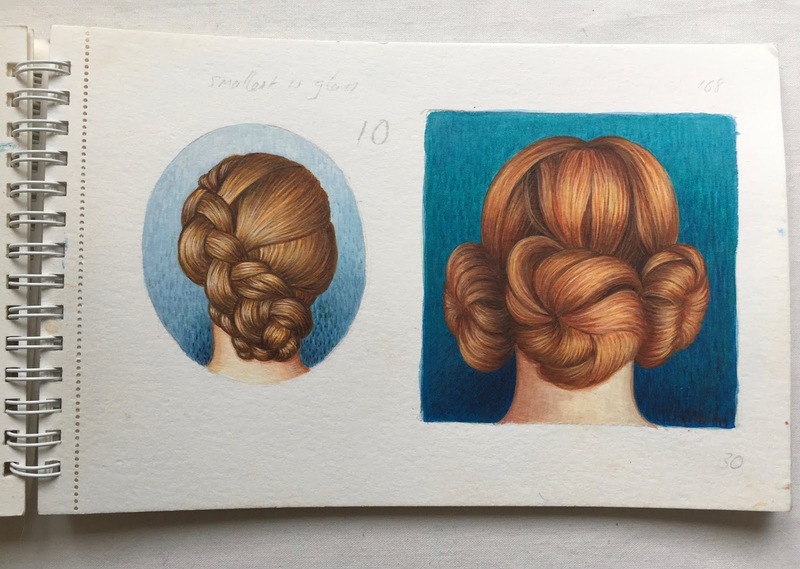 It was time to take the Knots and Braids series to its final stage - namely, cutting up the contents of watercolour pad to fit their individual vintage frames. 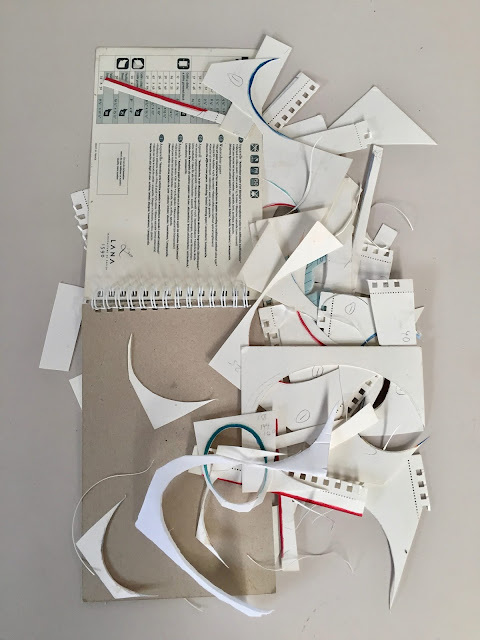 Here is the watercolour pad page-by-page, shortly before I took to the contents with a pair of scissors, followed by the aftermath. 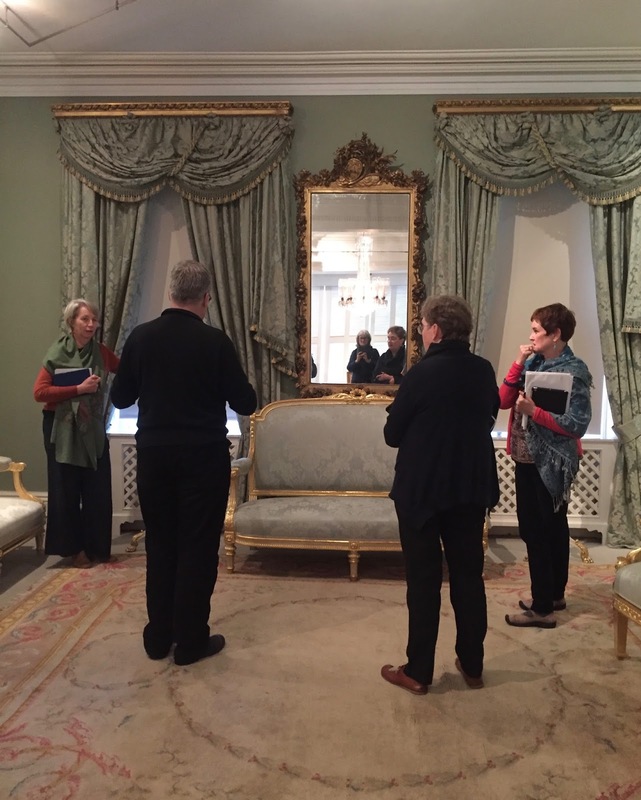 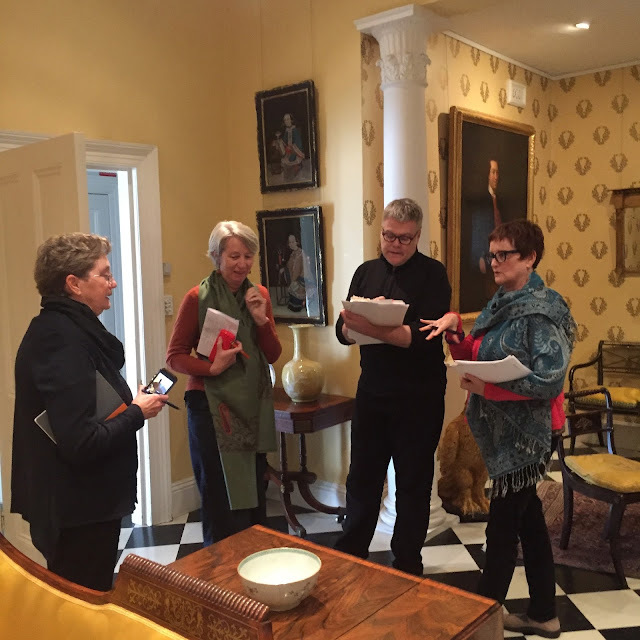 Pictured above and below are selected highlights of yesterday’s fruitful meeting at the Johnston Collection Museum with TJC Director/Curator Louis Le Vaillant and fellow From the Bower artists/collectors Carole Wilson, Loris Button and Louise Saxton. 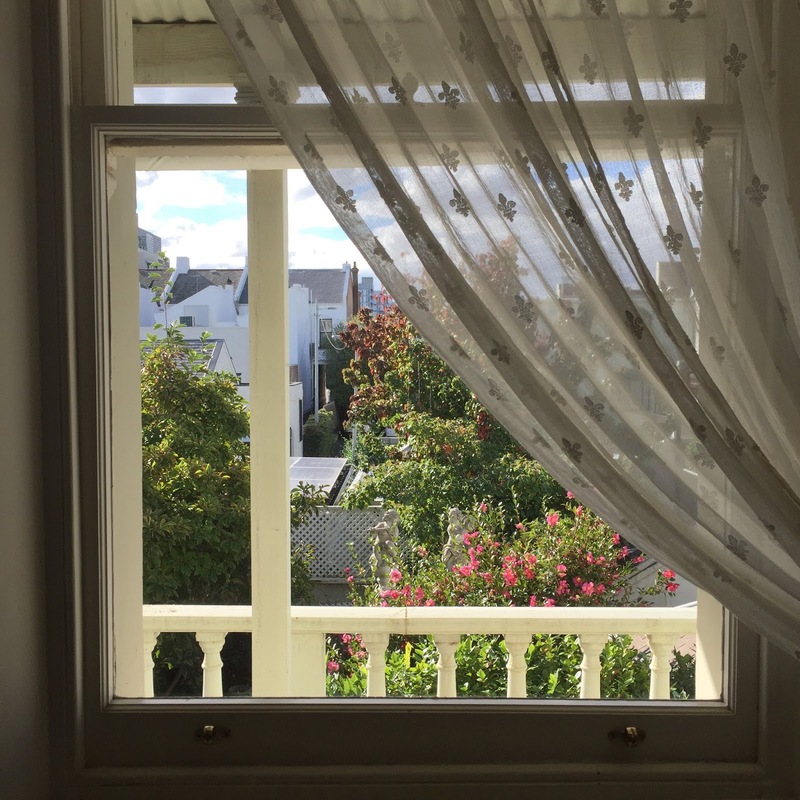 The window below overlooks the garden and beyond it, the former house and studio of renowned colonial landscape artist, Eugene von Guerard. 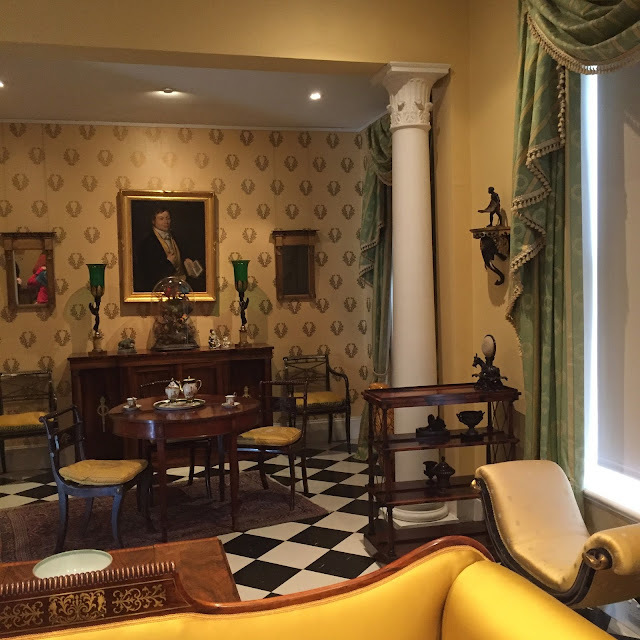 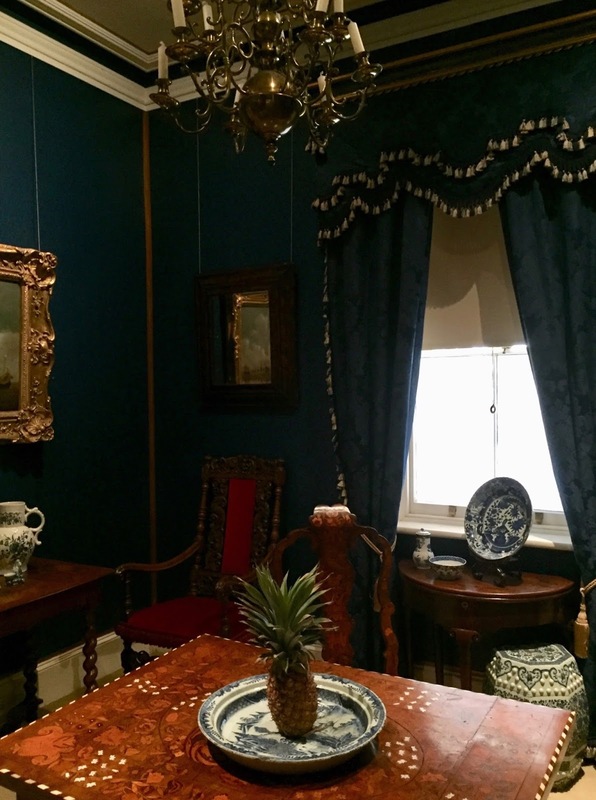 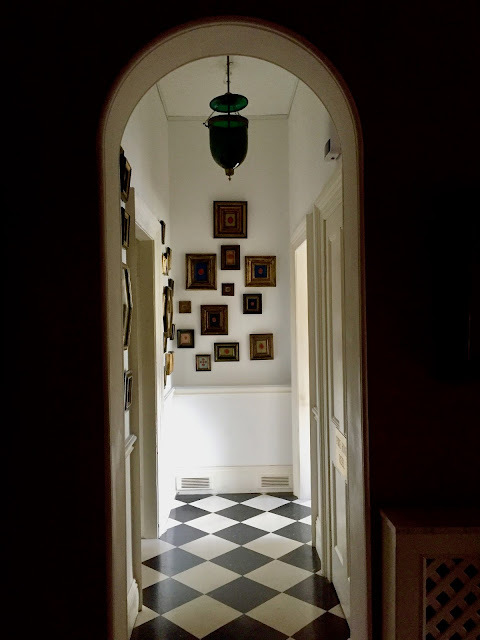 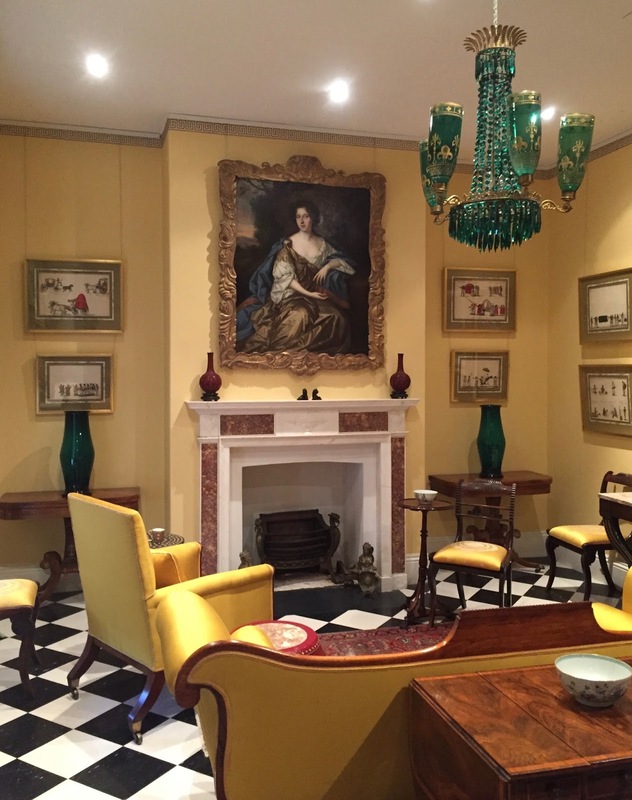 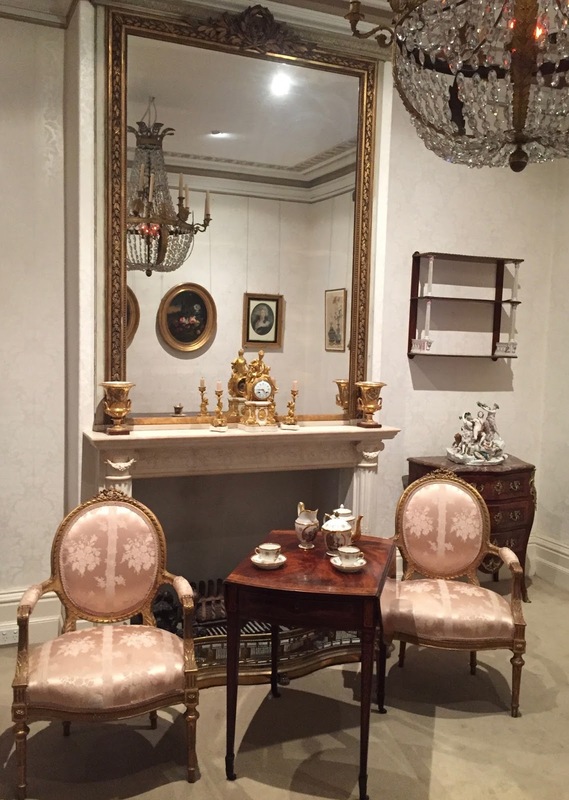 The next time we’ll all there will be in just a few weeks, to install a markedly different version of our well-travelled exhibition, appropriately retitled PATTERNS OF COLLECTING - from the Bower at the Johnston Collection, opening in early June. In an exciting new venture, artist and master printer Lawrence Finn has initiated HipCat Gallery, an exhibition space that is dedicated to contemporary Australian printmaking. 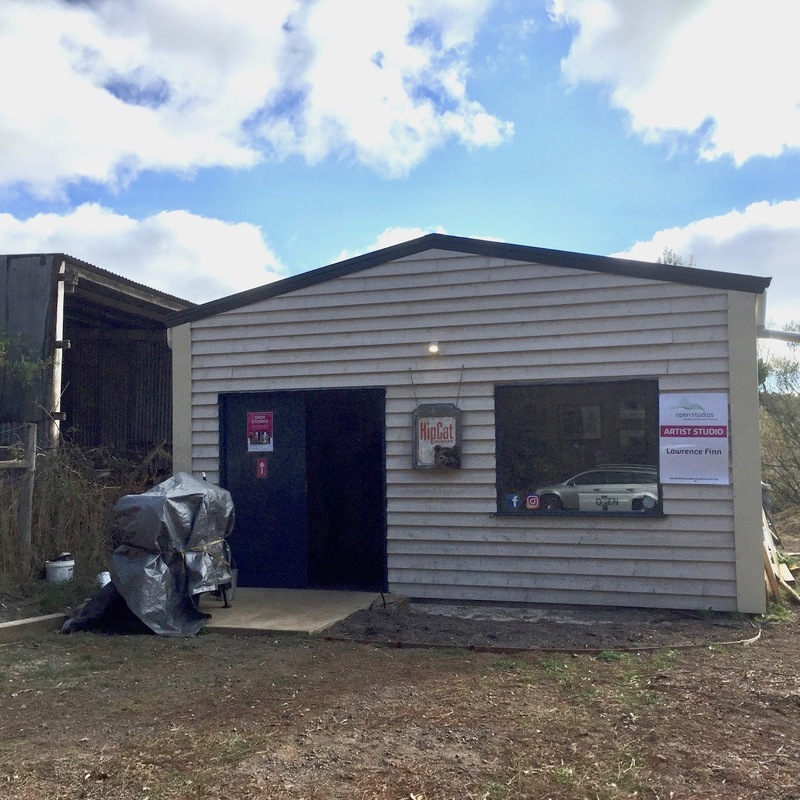 The gallery is part of HipCat Printery, a custom printing and artist access studio located five minutes from historic Trentham in Wombat State Forest. Shane Jones and I visited HipCat for the first time last Sunday during the Daylesford Macedon Ranges Open Studios program. 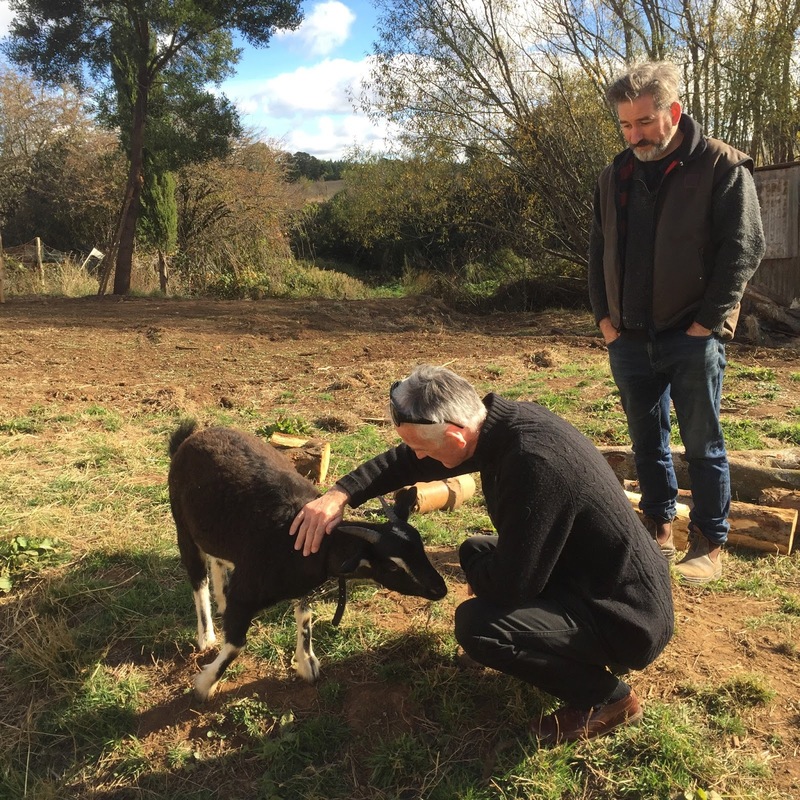 That’s Shane in the above photo, centre, alongside Lawrence and his goat, the regal Princess Leia. 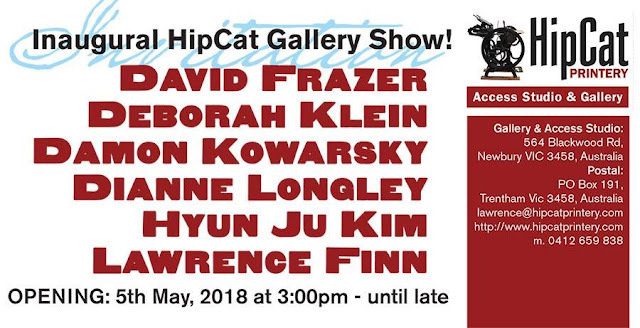 HipCat Gallery’s inaugural group show will be opened by David Frazer. I’m delighted to be part of it, along with David, Damon Kowasky, Dianne Longley, Hyun Ju Kim and Lawrence Finn. 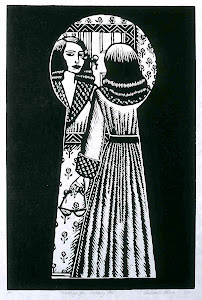 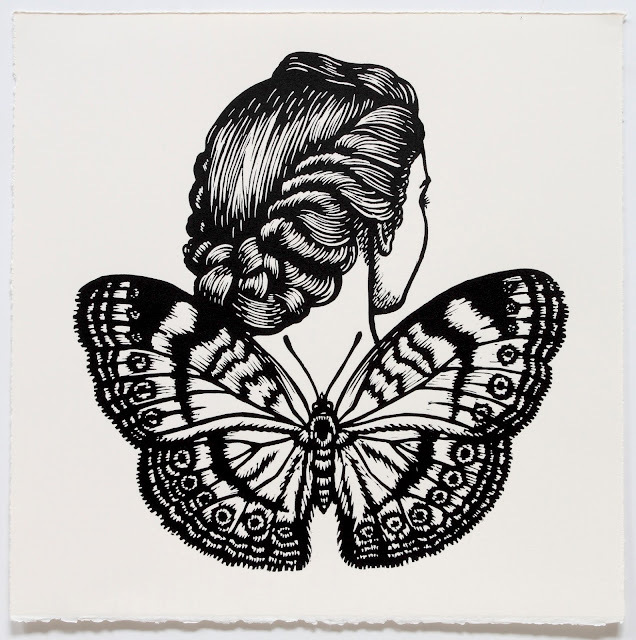 Chocolate Argus Winged Woman, pictured top, is one of two linocuts I have in the show. 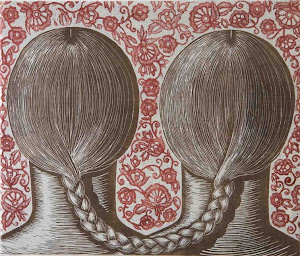 The opening event is this coming Saturday, 5 May at 3 pm.